Last edit: 2 months 1 week ago by jgdesign. Reason: already figured the first problem and now I have a different question. Replied by solidres on topic How to manage complex tariffs - so you have certain price for certain days. It is easy, you can add new complex tariff in your room type > Complex Tariff using Mode = Day, then you will be able to enter price for each date easily. Replied by jgdesign on topic How to manage complex tariffs - so you have certain price for certain days. Thank you for your reply. Yes, I figured now that the prices fields showed up after you press APPLY. Can you maybe advice me what is interval field? And how I manage to put parameter if staying less than 3 days - price is +20% ? 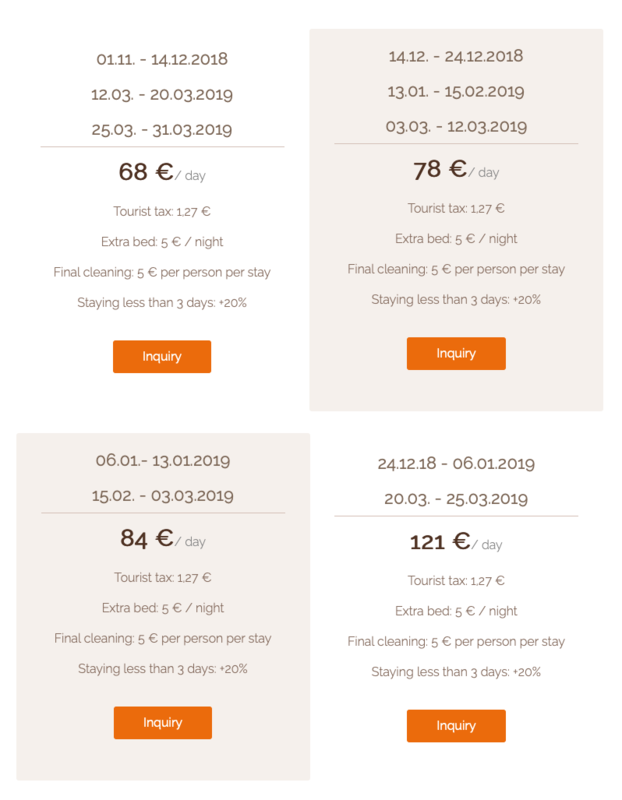 For "staying less than 3 days - price is +20% ", you can create a different tariff for min stay < 3 days and put a higher prices for it.